People have always been interested in learning other languages, but learning how to speak different languages has become even more important in recent years. Nowadays, more and more people are traveling internationally both for pleasure and for business. With today’s tech-savvy world, it’s easier than ever to communicate with people from other countries without ever leaving your home or office. Knowing how to speak another language can greatly improve your life in many ways, and you might want to take advantage of these benefits as soon as possible. 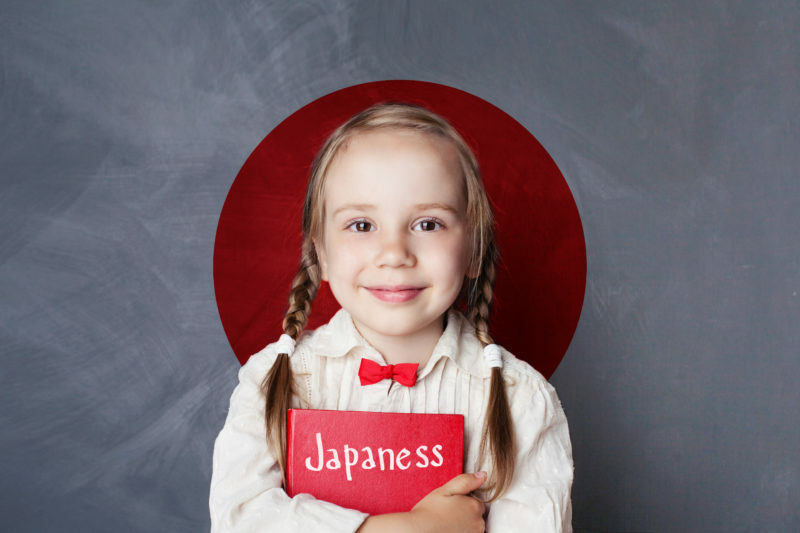 If you’re doing a lot of international business with Japanese countries these days, then you might be hoping to master basic Japanese as quickly as possible. Alternatively, you might have a big trip to Japan coming up, and you could be hoping to learn at least a few words in Japanese before your vacation. No matter what your motivation might be to look for the fastest way to learn Japanese, you could be wondering just how long you can expect to spend learning the basics of this exciting language. It Is Possible to Learn Japanese in Just a Few Days? For one thing, you could be wondering if it’s possible to learn Japanese in just a few days. When looking for information about how to learn Japanese fast for beginners, you might have come across courses and programs that claimed that you could learn the language in a week or two. Since you might be hoping to learn Japanese fast and easy, this could be very intriguing to you. If you want to learn to speak Japanese fast and easy and are hoping to become fluent in the language in just a week or two, you should know that this is probably not going to happen. However, if what you want is to learn a few basics so that you can communicate on a trip or test out your new skills with a Japanese friend, then it is definitely possible to learn a little something in a short period of time. Of course, for that to happen, you have to use the right program and resources, and you have to be truly dedicated. If you’re wondering, “What’s the fastest way to learn Japanese?,” then you first must understand that there are different learning levels that relate to learning a new language. Understanding these levels and setting your own goals related to learning Japanese can help you get a better understanding of what to expect. First, there is Level A1. Those who are at this learning level can generally only understand someone who is speaking Japanese when they speak slowly and clearly. They should be able to introduce themselves and answer a few basic questions. Someone at this level should also be able to use a few different phrases. If you want to know the fastest way to learn Japanese, this is the first goal you should strive for. With dedication, you should be able to reach this learning level relatively quickly. Next, there is Level A2. At this level, you should be able to communicate your needs and describe your surroundings. In addition to being able to introduce yourself and answer a few basic questions about yourself, you should be able to understand others when they answer basic personal questions. Level B1 is a good goal for those who want to know how to learn Japanese fast for beginners because they have an upcoming trip. Even though you will still be far from fluent at this level, you should be able to speak and understand enough Japanese to deal with most situations that you would encounter while visiting Japan. Additionally, you should be able to describe things like your future goals and dreams, including brief explanations for these plans and goals. Level B2 is the next step above Level B1. At this level, you should be able to speak about more abstract topics rather than just concrete topics. Speaking with native Japanese speakers who may not speak English should be relatively easy for both you and the other individuals you’re speaking with. You may not be able to learn Japanese fast and easy if you want to get to this level, but it’s a great level to aspire to if you’re hoping to communicate well in Japanese. At Level C1 and Level C2, you would be considered a fluent speaker of Japanese. You should be able to understand just about anything that you read or hear in Japanese if you’re at one of these levels. You should also be able to speak about pretty much any topic spontaneously. Those who want to learn to speak Japanese fast and easy but who don’t have any previous knowledge have a lot of hard work ahead of them if they want to reach these levels, but reaching these levels of mastery in a language that is not your native language is definitely an accomplishment to be proud of. Every person is different. The amount of time that you’re able to dedicate to learning Japanese will obviously have an impact on how long it will take before you are able to master the language. The amount of dedication that you put into learning Japanese will have an impact, and the methods that you use will matter a lot, too. In general, though, for native English speakers who do not know even the basics of Japanese, learning Japanese can take approximately 2,200 hours of work in ideal language learning conditions. If conditions are less than ideal, it could take even longer. It’s definitely true that learning Japanese is something that can take a lot of hard work, but it is very rewarding for those who are willing to put the effort in. What’s the Fastest Way to Learn Japanese? If you want to learn to speak Japanese as quickly as possible, you will want to make studying a goal. You will definitely need to stick with it, and you’ll want to make use of a number of different resources. Taking classes, studying books and online materials regularly on your own and making an effort to watch television or movies in Japanese or to speak to others in Japanese can all be good steps to take if you want to master the language as quickly as possible. It’s important to be realistic and to understand that you will not be able to become fluent in Japanese in just a few days or weeks. However, with dedication, you can start mastering the basics in no time.